Create Award (VRC/VEXU) Does not qualify for any events. Build Award (VRC/VEXU) Does not qualify for any events. Hotel information will be provided upon request - contact the Event Coordinator, Randy Moehnke, at rmoehnke@tusd.net. Tracy is conveniently located in the Central Valley inside the triangle of I-5, I-205, and I-580. Tracy is about 50 miles from the Bay Area and about 60 miles from the Sacramento area. Park in the main parking lot, between the stadium and the school. The tournament will be in the cafeteria and main gym, which are adjacent to each other and the main parking lot. Enter through the breezeway between the cafeteria and the gym. No refunds after Jan 1st, 2017. Refunds will only be given prior to Jan 1st if there is a team on the waiting list that will take your team's place. All facilities are indoors. The tournament will be held, rain or shine. All volunteers are welcome to contact the Event Coordinator, Randy Moehnke, at rmoehnke@tusd.net. Due to a facilities conflict, the date of the tournament has been changed from Jan 14 to Jan 28, 2017. We apologize for any incovenience. If the event is full, add your team to the waiting list here on Robot Events. If spots become available, we will fill them from the waiting list. We will have 3 competition fields in the gym for matches. There is plenty of seating for spectators. We will also have a skills challenge field in the gym. The pit area, registration, practice field, and snack bar will be next door in the cafeteria. Each team will have a pit table. Our snack bar will be open with snacks, drinks, and lunches available for purchase. 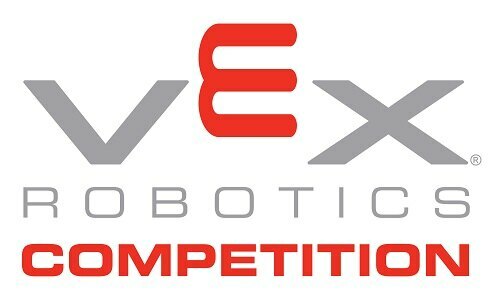 Tournament results will be posted live here on our Robot Events page and they will be displayed on screens in both the cafeteria and the gym.